With the forearm in a supinated position (i.e. 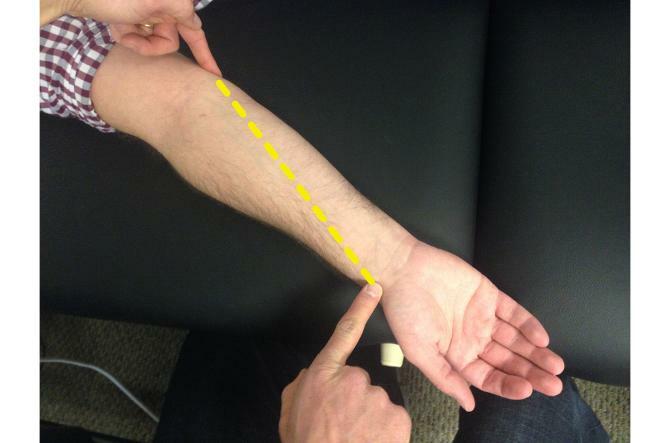 palms up), visualize a line between the medial epicondyle of the elbow and the distal end of the radius near the thumb. 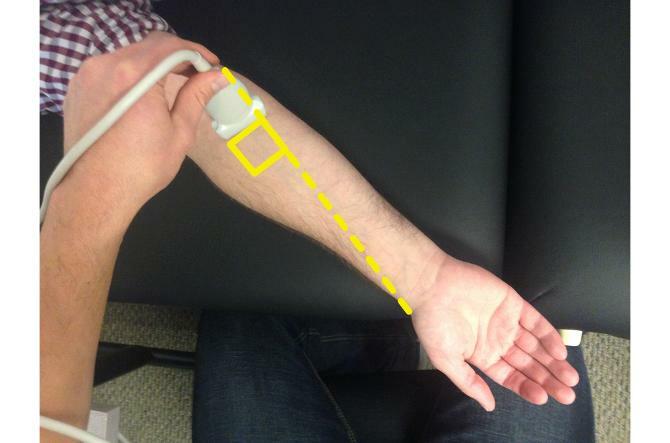 Mark a line 1 probe length from the medial epicondyle along this line. 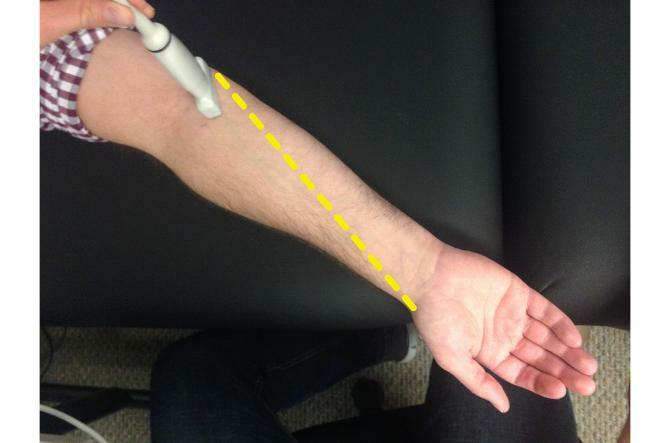 This is the location for the scan along the long axis of the forearm. 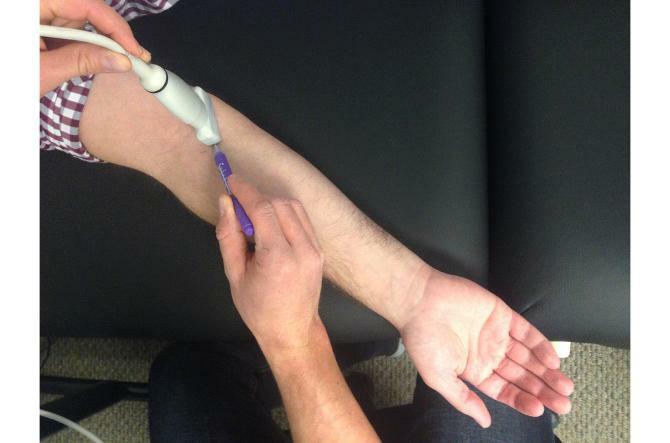 Place the probe perpendicular to the line between the medial epicondyle and the distal radius. 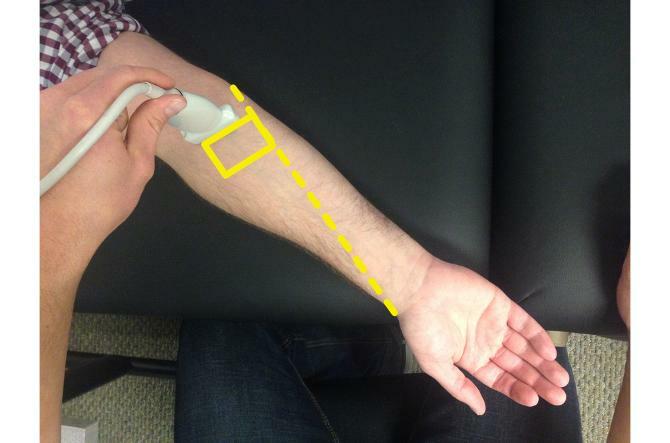 Translate the probe inferior-medially or superior-laterally to locate the “V” (the septa around the flexor carpi radialis) in the middle of the screen, maintaining your position along the long axis of the forearm and maintaining the orientation of the probe perpendicular to the line between the medial epicondyle and distal radius. 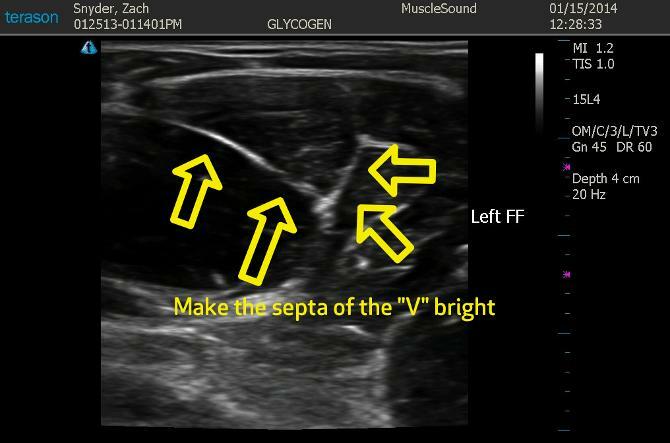 Tilt the probe to make the septa of the “V” bright.